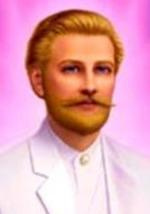 "I am Saint Germain, and I assure you, most Beloved Ones of Planet Earth, that this is not any longer a dream;* it is rather the Vision which you are bringing into your World. This Vision originated in the Higher Realms where only Love exists! And, therefore, everything there is created only from the energy of Love. "And it is you who have come to answer the call that you made long ago for this rising up, this uplifting, this transformational transmutations of everything which is currently in existence in your third dimensional Earth, including your own bodies, your own human bodies. And so it is to assist in your Homecoming - what you call your Ascensions - that these marvelous tools and technologies are becoming more and more visible to you! But they are not visible to the entire World. "NESARA brings Divine Governance and as Divine Beings you, yourselves, along with all Divine Ones in the whole Universe, helped to bring this into its current status - which is that it is a Law that is very much 'on the books,' as you might say, in the United States of America, but it is for the entirety of Planet Earth and all of its residents!!! "NESARA is the framework that provides the Freedom - Freedom for the new technologies. Imagine, imagine seeing M.T. Keshe on your mainstream television media! Because, you see, all of the restrictions, the impediments, the blockages, will be swept away in the cleansing and clearing that NESARA brings. It is for the Hearts of the people to join together, so that all of this may be accomplished in a peaceful manner! It is to bring these High Dimensional Visions into your own Hearts and share them, along with all of the knowledge that has been discussed here today,** and all that is to come to each of you as you live your lives, your wisdoms, your knowing of what is true, what is real. And where you find that, Beloved Ones, is in your own, beautiful Hearts! "And there is a very simple, simple phrase that sums it up, and this indeed has been spoken many times by M.T. Keshe. And the phrase is, 'IT'S ALL LOVE,' and that is the Highest Truth!!! "And remember, that Peace On Earth makes all of this the Way, the Path, the Road for all to travel. There must be Peace and it must be of the kind that Passeth All Understanding. It must be Peace borne of Love!!! Because all that has happened for eons of time in your third dimension have been empty promises of Peace, which have always led to wars - wars within each individual, and wars between each other. THAT'S OVER!!! "Claim it! It is your Divine Birthright! Claim this Peace! Support it and support NESARA's Announcement as beginning the true Golden Age for all of Planet Earth!!! And from there all else that you have waited for, all that you have worked for, all else will flow in an unending golden white stream of the LoveLight from which we are all made, and to which all who ascend and move up into the Higher Dimensions will return! "I, St. Germain, and this Company of Light, are honored by your presence here. And it is now for us to come together in Peace and Love, and co-create the empowerment - the empowerment - taking it to even higher levels of Peace and Love for all on Planet Earth! And so it is. Namaste!"